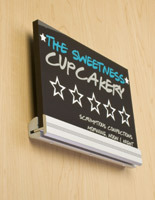 Holds signage at right angle for high visiblity. Satin finish metal construction gives signs an upscale look. 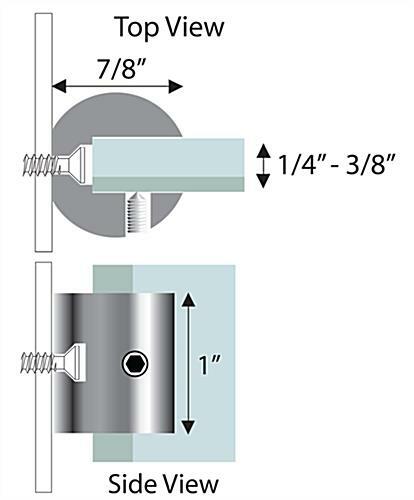 Sign support hold signs up to 3/8-inch thick. 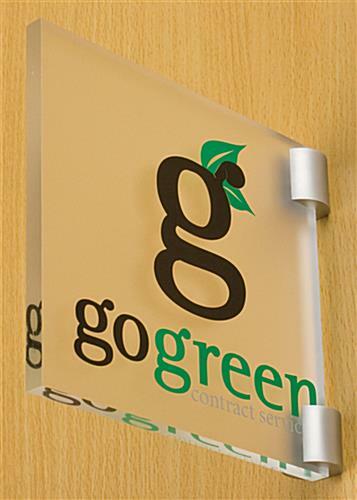 These sign supports are supplied to the customer in 2 units per order for mounting displays in two separate places. 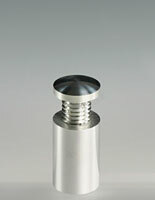 The stand offs have measurements of 1"w x 1"h x 7/8"d and do not require holes be drilled into your plaque. 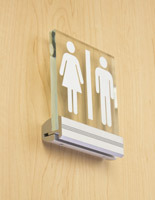 These sign supports are able to hold signage at exactly 1/4" from the mounting surface. 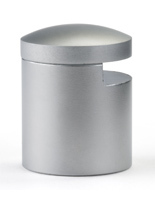 There is a slot in the fixtures that measures 7/16" and allows the satin hardware to hold materials that are 1/4" – 3/8" thick for display purposes. 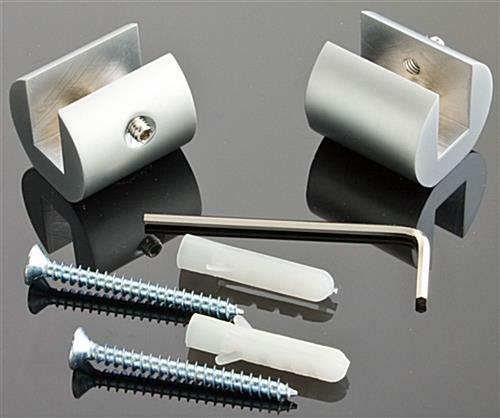 These brackets, sign supports are constructed of from solid metal, which makes them longer lasting than plastic fixings. 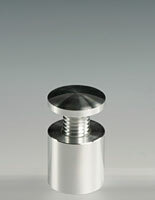 This metal hardware has a beautiful satin finish that is very sophisticated. 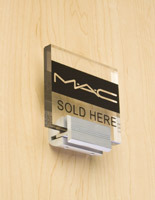 The sign supports, called display fixtures, are supplied with all of the mounting hardware needed to hang your signage. 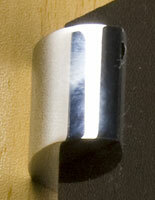 The small style and muted finish make for a very understated way to mount any beacon. 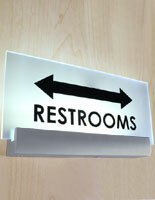 These sign supports are chosen over other display fixtures for several reasons. These fasteners are able to mount signage at 90° angles, which make them really stand out. The sign supports place displays right in a person's view range, unlike other brackets that hang displays against a surface. Because of the highly visible nature of this type of mounted signage, these silver fasteners are great for hanging directional signage. Also, these sign supports are designed to be quite small. There are other display fasteners on the market that are too big and as a result overtake the message that they are meant to showcase. These sign supports will not allow that to happen. These hanging brackets mount your signage in such a way as to make the display the center of attention and not the fixtures. Fast, helpful & quick shipping! Cannot say enough about these guys.. Always available to answer any questions I may have, quick processing & 99% of the time - same day shipping!